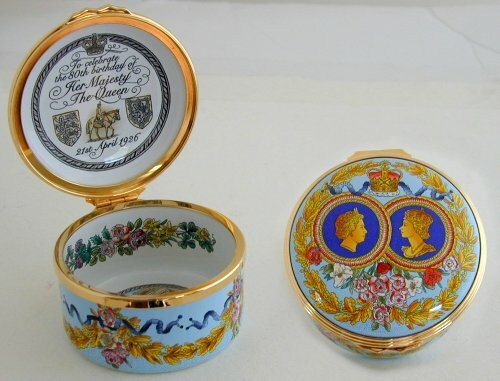 A wonderful collection of limited editions produced for the Queens 80th birthday on April 21st. 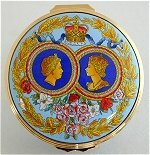 The Queen's 80th birthday and The Duke of Edinburgh's 85th are jointly celebrated with this handsome hand-painted box. The Queen celebrates her 80th birthday on 21st April and her official birthday on 17th June. 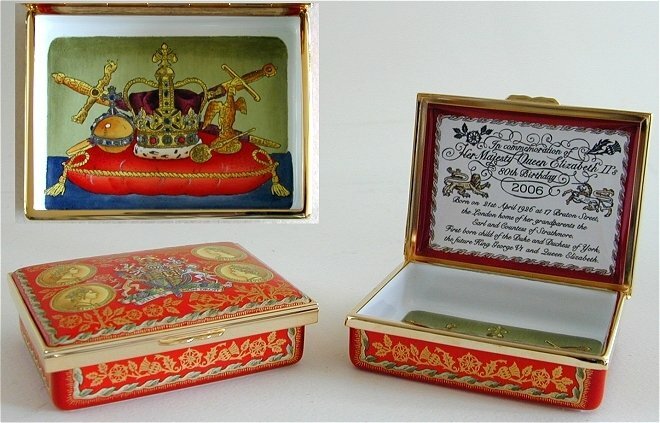 This highly decorative, gold-embellished box bears her portrait and the badges of the United Kingdom's two highest Orders of Chivalry, of which she is Sovereign: the Order of the Garter, depicting St George, and the Order of the Thistle, depicting St Andrew. Beautiful limited edition of 200 pieces. Please click on the photo to see the large image that displays the complete box. 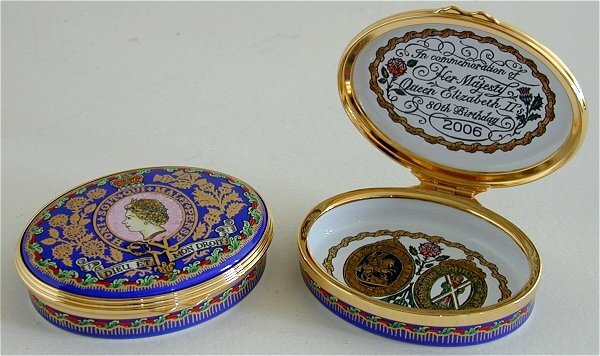 In celebration of The Queen's 80th birthday: this special edition enamel box bears a portrait of Her Majesty as she appears today and at the time of her accession to the throne on 6th February 1952. 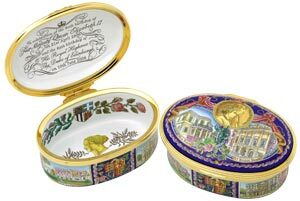 Garlands of laurel and roses embellish the enamel surface, whilst inside the base of the box is a painting of the house at 17 Bruton Street, London, where she was born on 21st April, 1926.